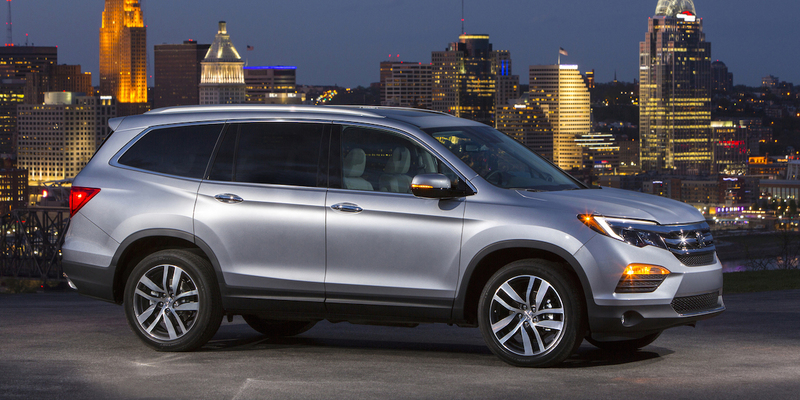 The Pilot is Honda’s popular three-row midsize SUV. 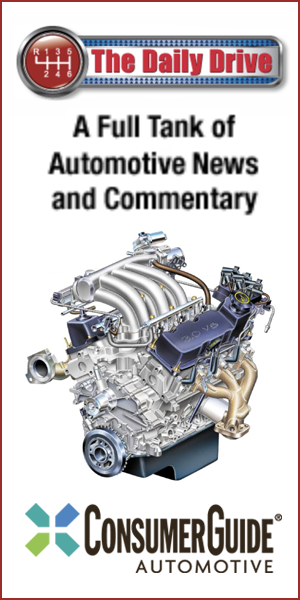 The lone engine is a 280-horsepower 3.5-liter V6, which is paired with a 6-speed automatic transmission in LX, EX, and EX-L models and a 9-speed automatic in the high-end Touring and Elite models. 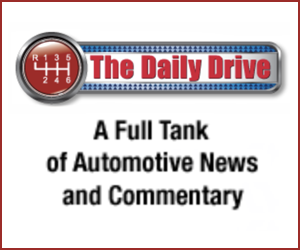 The 9-speed models utilize an unconventional electronic pushbutton shifter—it requires a bit of acclimation to use, but frees up console space. 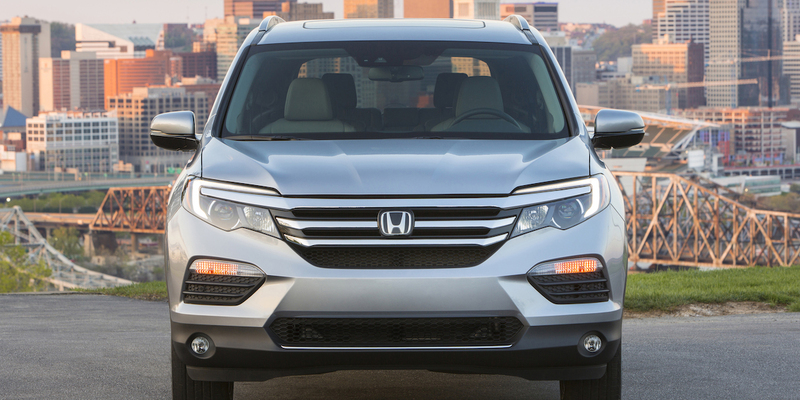 All trims levels are available with front- or all-wheel drive except the line-topping Elite model, which is AWD only. 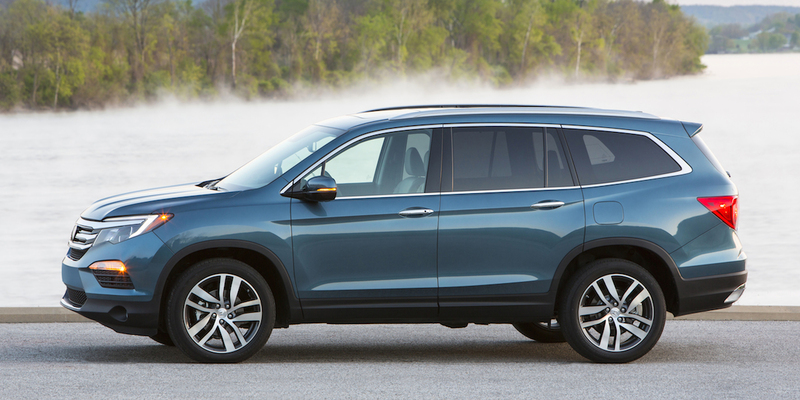 A “Honda Sensing” option group of safety technology features includes adaptive cruise control, forward-collision warning, Collision Mitigation Braking System, lane-departure warning, lane-keep assist, and Road Departure Mitigation. 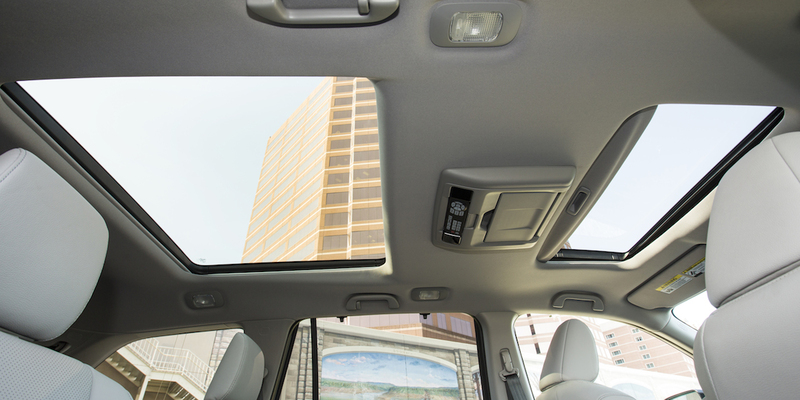 Other available features include Honda’s LaneWatch right-side camera, remote engine start, heated and ventilated front seats, heated steering wheel, power tailgate, power sliding second-row seats, and a panoramic glass roof with individual front and rear sliding sun shades. 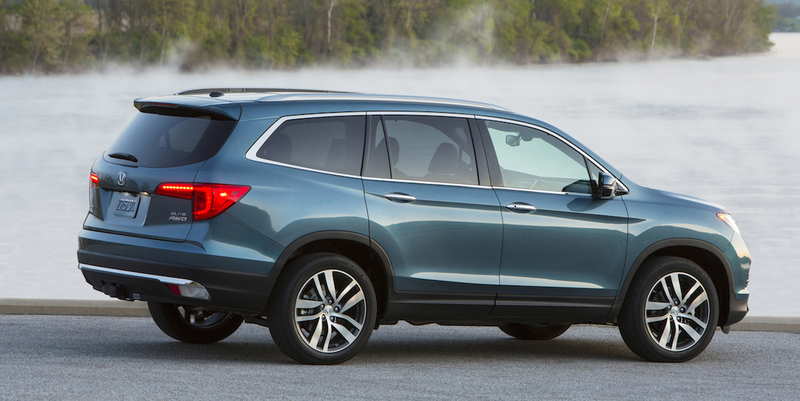 Information on the 2017 Honda Pilot was unavailable as of this writing, but we don’t foresee any major changes after the Pilot’s redesign last year. EPA estimates for the 2017 Pilot were unavailable as of this writing, but they shouldn’t change much, if at all. When equipped with the 6-speed automatic transmission, the 2016 Pilot was EPA-rated at 19 mpg city/27 highway with front-wheel drive and 18/26 with all-wheel drive. Nine-speed models were rated at 20/27 with FWD and 19/26 with AWD. In Consumer Guide® testing, an all-wheel-drive Elite averaged 19.3 mpg in about 90-percent city driving. 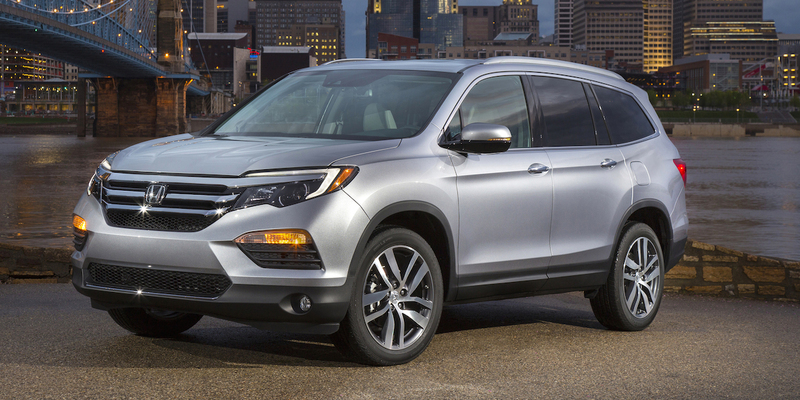 The 2016 Honda Pilot’s wonderfully executed redesign put it back at the head of the midsize crossover SUV class. 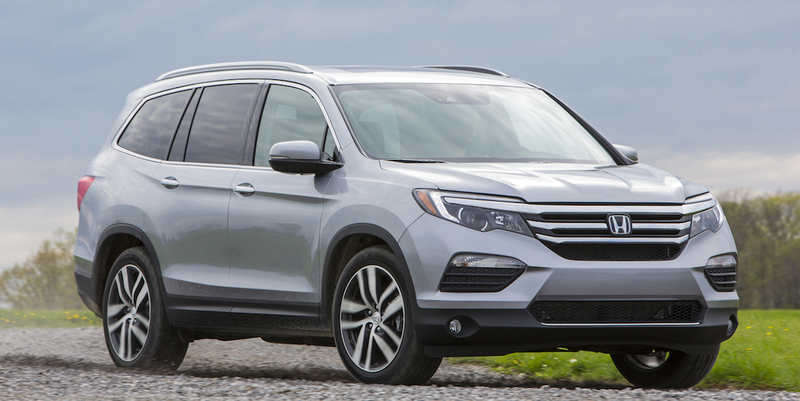 It built on the previous-generation Pilot’s strengths—most notably the spacious interior and excellent road manners—by adding a host of up-to-the-minute safety and technology features. Despite its focus on function over flash, the Pilot’s interior has a very high quality feel. If you need to move a lot of people and stuff and aren’t interested in a minivan, the Pilot is one of the best family haulers around.